A Mass of Christian Burial for Dale E. Thompson, 68, of Ogdensburg will be celebrated on Tuesday, June 12, 2018 at Notre Dame Church at 2 p.m. with Rev. F. James Shurtleff as celebrant. A visitation will be held from 12 p.m. until 1:30 p.m. prior to the Funeral Mass at the LaRue & Pitcher Funeral Home. Burial will follow the Funeral Mass in Notre Dame Cemetery with full military honors. Mr. Thompson died on Friday June 8, 2018 at Heritage Healthcare Center in Utica. Dale E. Thompson was born on November 4, 1949 in Ogdensburg, NY he was the son of the late Quinten and Helen (Houppert) Thompson. He was a graduate of Ogdensburg Free Academy and went on to serve in the United States Airforce. He worked as an orderly at Claxton-Hepburn Medical Center for a period. He enjoyed rabbit hunting, playing cards, listening to and collecting music. He is survived by his sisters; Sonya Vrystein of Coburg, Canada, Barbara Parish of Ogdensburg, Marlene Tyo of Ogdensburg, Marilyn Silmser of King, NC, Diane Lemhouse of Ogdensburg, Nancy Irvine of Ogdensburg, Theresa Webb of Knoxville, TN, Elaine Burley of Ogdensburg and Lisa Winter of Ogdensburg. Many nieces, nephews and cousins also survive him. He was predeceased by his parents and a brother; Lester Thompson. 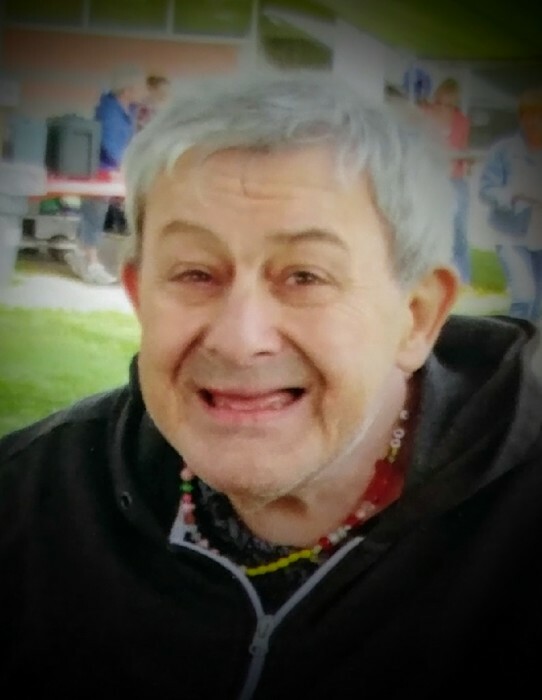 Donations in Dale’s memory may be made to the Diocesan Capital Campaign Diocese of Ogdensburg PO Box 608 Ogdensburg, NY 13669.